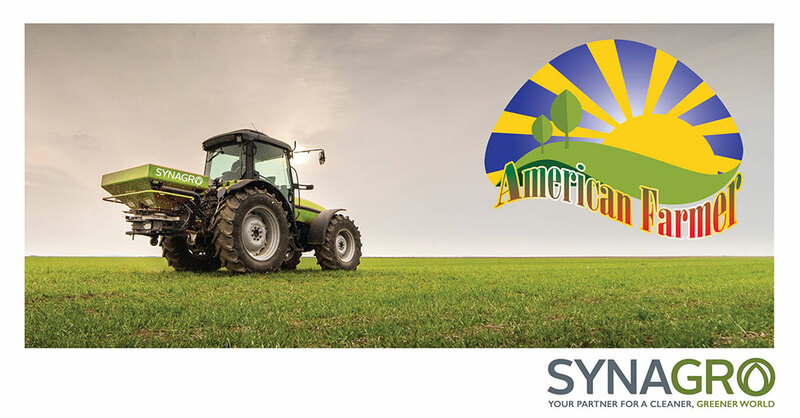 BALTIMORE, Maryland, August 28, 2018 – Synagro Technologies, Inc., one of the largest private composters in the United States, is pleased to announce the initial airings of an episode of DMG Productions’ American Farmer will broadcast on Tuesday, September 4, 2018 at 8:30 a.m. ET on RFD-TV. The airing will be repeated on October 3 and 10, 2018 at the same time. The show will describe how Synagro applies its expertise and innovative technologies to help municipalities and commercial customers across the country transform natural-waste challenges into sustainable solutions. Viewers will learn how AllGro compost can improve soil health, reduce irrigation requirements, replace expensive chemical fertilizers and sustain vigorous crop performance. American Farmer is a breakthrough program on a mission to showcase the latest advancements in agriculture and farming. From seed to harvest, livestock and more, our producers have traveled the country covering the people, places and issues impacting all areas of farm country. American Farmer airs Tuesdays at 8:30 a.m. ET on RFD-TV. Check your local listing for show times.